I have another good book for your review. 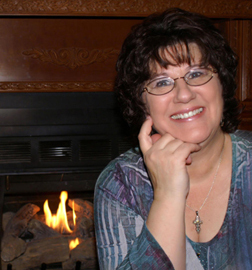 Gypsy's Game, a novel written by Delia Latham, is out of this world (pun intended). It is the third in the Solomon's Gate series. Twenty-nine-plus-year-old Gypsy Lovell needs to find a husband—fast—but there’s just one problem. Gypsy doesn’t believe in love. 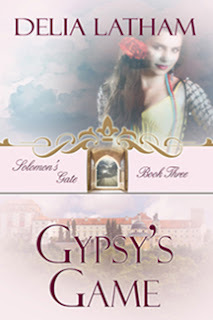 Thanks to her father, who abandoned her mother, and her, when Gypsy was four, she is perfectly free from any illusions about romance in general, and certainly about happily ever after. When she receives word of her father's death, she is also informed that her runaway father left her a large sum of money. But before Gypsy can receive the inheritance, she has to marry—remain in holy matrimony for six months—before she turns thirty. She decides to look for a mate at a Christian dating agency. Though she doesn’t attend church, she’s sure Christian men, especially those who wear their Christianity like some kind of badge, are one of two things: honest to a fault . . . or complete wimps, both traits which will suit her purposes just fine. Gypsy goes to Solomon’s Gate, where she meets the owner of the dating service, Destiny Gallagher. During the interview, Destiny bombards her with brochures, flyers, and heartwarming testimonials, all touting the success rate of the dating service. When Destiny asks her if she’s a Christian, though, Gypsy tells her she’s not, confessing her true intentions. Destiny refuses to approve the application. Startled, Gypsy whirls around. A stranger's dark eyes rake her face with a piercing gaze. His appearance leaves “mediocre” miles behind. His dark brown hair, five o’clock shadow, and beautiful smile take her breath away. Although she's not fond of men, she's not blind, either. Jal Garridan believes in angels, especially now that he’s had his first experience with Solomon. Every night for a week, the angel comes to him. When Solomon points out Gypsy to him for the first time, Jal is overcome at her beauty. Her long black hair, olive complexion, and gray eyes hypnotize him. After he arrives at Solomon’s Gate, he tells Gypsy that he'll marry her, but Destiny attempts to talk him out of it. She says Gypsy isn’t a Christian, that she wouldn’t be the right match for him. Jal refuses to listen. Convinced of what he's seen, and also what he knows in his heart, he tells Destiny to approve the application. Jal is one happy man. He knows God sent Gypsy to him. But her response unnerves him. Well, he's not going to take that. She's shocked. This Christian is no wimp. He’s unshakable. Gypsy considers telling the insufferable man to forget it, but she doesn’t think she’ll be able to find another replacement in time. She reluctantly agrees, but what does it matter? By the time the six months are over, she's sure she'll have Jal Garridan begging her for a divorce. Solomon sure has his work cut out for him. This is the first time I've read Ms. Latham's work. I must say, this book left me pleasantly surprised. For those of you who know moi, well, that's not always easy to do. Born and raised in Weedpatch, California, Delia Latham moved to Oklahoma in '08, making her a self-proclaimed California Okie. She loves to read and write in her country home, and gets a kick out of watching her husband play Farmer John. She's a Christian wife, mother, grandmother, sister and friend, but especially loves being a princess daughter to the King of Kings. She loves Dr. Pepper...and hearing from her readers. Contact her through her website or e-mail, follow her on Twitter (@DeliaLatham), and "Like" her on Facebook. You're most welcome, Delia. Thank you for a great read. I love the premise of this story1 It sounds like such fun. That was one of my favorite things about this book, Tanya. It's always nice to see something fresh and unique. Aww so good to see Delia here!! Awesome review!! Hey, Mart! Good to see you here, girl. Thanks so much for posting. Great review for a wonderful story!!! Thanks, Donna. It's definitely a good read. Hey, ladies! Thanks so much for stopping by. Deb wrote such a great review...I was so excited to see it today. :) Hey, Mart, it's been too long! Hope you're doing well! Again, thank you, Delia. It's been a pleasure. This was a fun review. I like your style, Deborah. Thanks so much, Janalyn. I also enjoyed yours. You're welcome. It was fun reading someone else's review of this worthy book. I can already tell you like different, Delia. In fact, that's what I liked about your book. I appreciate the unique slant you took with this story. Theis book sounds good. You know, the kind that leaves you with a warm feeling. It does just that, Pat, and more. Okay, I'm already drawn in by the characters and wondering how this story will end...great review! Thanks for stopping by, Cynthia. Deb, I truly enjoyed spending time on your little corner of the web. Thank you so much for your wonderful review! It's been my pleasure, Delia. You're an absolute delight. I'm glad to have met you.